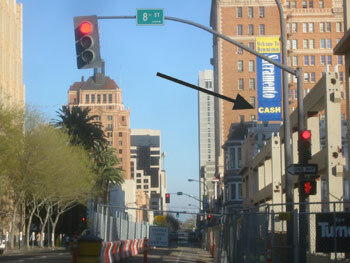 Hand in hand with the recent announcement and release of the new California Quarters, Sacramento has begun an ambitious new marketing campaign. 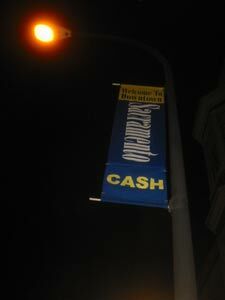 They are announcing their acceptance of cold, hard CASH. 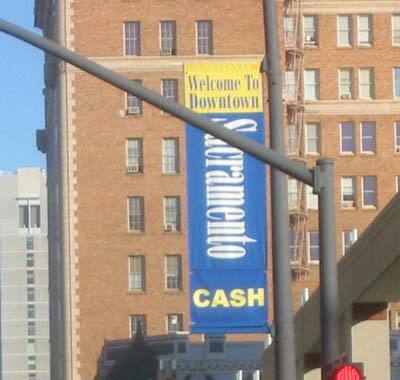 Someone, presumably the Chamber of Commerce or the City council has hung new "CASH" banners below the "Welcome to Downtown Sacramento" banners on J Street between 5th and 10th Street. 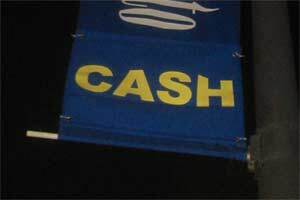 The CASH banners are below "Sacramento", where "Farmer's Market" or "Jazz Jubilee" banners usually hang. There are about 12 of them. 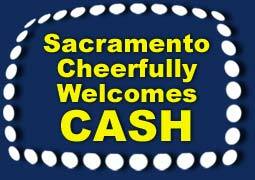 I support this bold, honest advertising campaign, and encourage new Sacramento visitors and residents to consider carrying and spending CASH downtown soon. At the very least, I hope it goes better than the old "Wampum only" policy from the late 1980s.